WAIST HIGH: Bryan Ferry Unveils His Personal Art Collection. Bryan Ferry Unveils His Personal Art Collection. 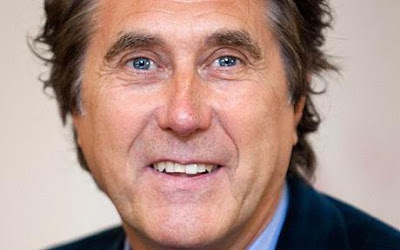 Bryan Ferry's art collection has gone on display at the London International Fine Art Fair, London’s oldest and largest summer international fine art and antiques fair, and will run through June 13. The exhibition, called Modern British Masters: Pictures from the Bryan Ferry Collection, is the first showing of the singer's personal collection of early modern British art which includes works by Walter Sickert, Augustus John, Duncan Grant, Vanessa Bell, and Christopher Richard Wynne Nevinson. Ferry said he has collected his art over a long period of time but that "his most intense phase of buying was during the 1980s, when he was at the height of his musical fame with the release of the hit 1985 album Boys and Girls." The former art student said: "They seem to suit the house I have in Sussex. If I lived in a Manhattan apartment I suppose I might have collected more contemporary things, but as it is my house is Victorian/Edwardian so much of it is modern British. I thought I would specialise." Ferry is currently putting the finishing touches on his first solo album in eight years which is set to be released in September, and this summer will go on tour with the Roxy Music line-up of Phil Manzanera, Andy Mackay, and Paul Thompson. All the details can be found at bryanferry.com.